More than 1,600 print finishing, diemaking and diecutting professionals registered for the 2017 IADD·FSEA Odyssey’s live equipment demonstrations, classroom education sessions and awards networking reception. Odyssey organizers were thrilled with a record number of registrations in 2017 and expect similar exciting results for the upcoming event. 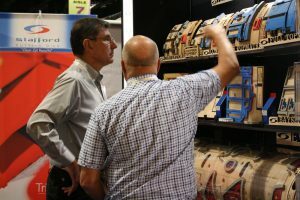 Odyssey Expo 2019 will be held at the Cobb Galleria Centre in Atlanta, a 20-minute drive from the airport and near two major interstates for attendees driving in from the surrounding area. After a day at the event, networking can continue at The Battery Atlanta – a newly constructed premier dining and retail space next to the stadium where home games for baseball’s Atlanta Braves are held.